Cheltenham Township municipal administrative offices are located at 8230 Old York Road, Elkins Park PA 19027; phone: 215-887-1000. The township was established by English Quakers in 1682. 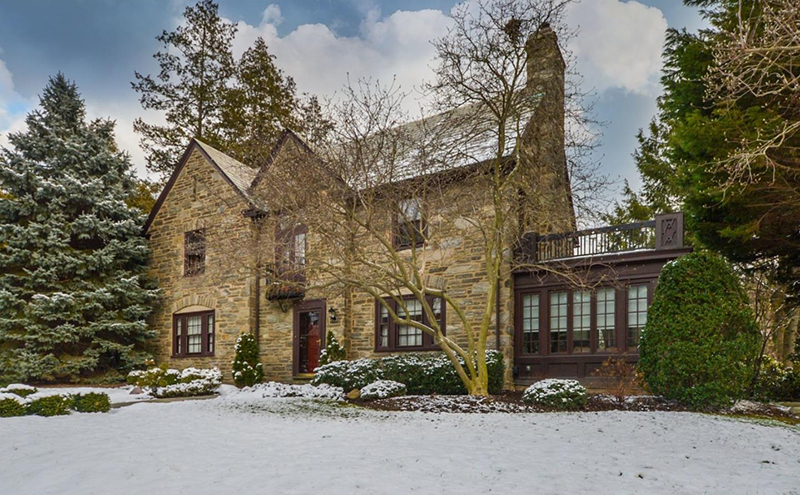 Communities include: Cedarbrook, La Mott, Wyncote, Cheltenham Village and Elkins Park. Approximately 63 percent of residences are single family. The majority of homes were built prior to 1960. Cheltenham Township was created in 1682 as part of Philadelphia County. It was not until September 10, 1784 that Montgomery County was formed and Cheltenham became its smallest Township. William Penn deeded land grants to fifteen fellow Englishmen. Each was deeded a small parcel of land in the City of Philadelphia and a larger area, comprising of between 100 and 500 acres, in Cheltenham Township. Two of the "First Purchasers," Toby Leech and Richard Wall, settled in the Township and became instrumental in its early beginnings. They are considered to be the Township's Founding Fathers. Both were actively involved in the religious, political and social growth of the new community. Toby Leech was a successful businessman and was involved in many enterprises upon his arrival in Cheltenham. He established a corn and fulling mill along the Tookany Creek, which gave Mill Road its name. One of the structures built by Tobias Leech across from his tannery and bake ovens was used to house his enslaved workers. It still stands today on Church Road. Another house Toby Leech built for his grandson Abraham, remains at Old Soldiers Road and Ryers Avenue. In addition to the tannery and bakery in Cheltenham, Toby Leech was involved in land transactions in Philadelphia, Delaware and Chester Counties. Richard Wall's house stands at the entrance to Wall Park. The original section of the house is dated 1682 and additions were completed in 1727 and 1800. It is the most historic building in the Township and, until 1978, was the oldest house in continuous residence in the Commonwealth of Pennsylvania. The Wall name was lost when Sarah Wall, Richard's granddaughter, married George Shoemaker. The Shoemaker name is another name mentioned quite frequently in association with early development in the Township. Their daughter-in-law developed the Shoemaker Mill on the Tookany Creek, and Shoemakertown (now part of Elkins Park) developed around it. Humphrey Morrey (also referred to as Merry) was another significant First Purchaser. He was heavily involved in politics and served as the first mayor of Philadelphia between 1691 and 1701. His only surviving son, Richard, inherited this land grant, in addition to other land that was acquired by Humphrey Morrey. Richard Morrey was one of the first Americans to free his slaves and distribute land to them. The area in which they settled, which was one of the first African-American settlements in the country, became known as Guineatown because many of the slaves had originally come from Guinea. Later the area would become known as Edge Hill, named after the Revolutionary War battle that was fought nearby in Abington Township. Most recently it has been considered as part of the Glenside district. Richard Morrey fathered five children by his mistress, Cremona, who was herself one of Morrey's freed slaves. After his death, Cremona Morrey later married John Frey. Upon her death, the Morrey children contested the land. Eventually, it was agreed that the land would be sold and the proceeds divided among her children. Cremona Frey Jr., Cremona's daughter by John Frey, settled on a portion of the remaining land and the house that was built there still stands, although much altered, on Limekiln Pike near Waverly Road. The Mather family is another notable name in Cheltenham's history, though no one in the family was among the First Purchasers. Joseph Mather came from England as an indentured servant and upon the completion of his servitude, married Elizabeth Russell, whose father, John Russell, was one of the First Purchasers. The centrally located original 300 acre tract purchased by John Russell was divided over successive generations of Mather descendants, which through intermarriage, would also come to include descendants of the Wall and Leech families. The house built by Bartholomew Mather in 1781 at the northeast corner of Church Road and Washington Lane is of note for its historical significance. During the Revolutionary War, a spring on the property was used as a watering place by American and British troops fighting in the Battle of Edge Hill. During the Civil War, the house was used as a stop along the Underground Railroad. The house was later demolished. The Tookany Creek proved to be the lifeblood of Cheltenham's early development. The creek provided industrial opportunities for early settlers and entrepreneurs. Many of the mills along the creek began as gristmills and were expanded to accommodate the changing needs of the local population as well as to reflect the changing technology of the times. As the mills prospered, small villages containing workers' housing and supporting businesses grew up around them. By the early twentieth century, most of the mills had been abandoned and demolished and the Township began the process of reacquiring the land along the Tookany Creek as recreation and open space. However, the mills have left a permanent mark on land use in the Township because the original villages developed around them. In 1690 Richard Dungworth built the Township's first gristmill. The ownership of this mill changed hands a few times and was eventually purchased by Benjamin Rowland Sr. This mill was then incorporated into the thriving shovel manufacturing business that had been developed by his nephew, Benjamin Rowland Jr. By the 1880s, T. Rowland and Sons was the second largest producer of shovels in the United States. The large number of employees that were employed at the Rowland complex precipitated the development of Milltown, which later became known as Cheltenham Village. The mill was abandoned and demolished in 1929, but the Shovel Shop at 300 Ashbourne Road remains as a testament to the village's early history. Areas of what is now Elkins Park developed around early mill establishments. Shoemakertown, later known as Ogontz, grew around a mill developed by Dorothy Shoemaker and her brother-in-law, Richard Mather, in 1746. At its peak productivity, the mill was known as Charles Bosler, Flour and Feed. The mill has since been demolished. Adjacent to Shoemakertown, the village of Ashbourne grew around a mill that had originally been built by Toby Leech in 1706. The mill reached its greatest prominence as the Meyer and Ervien Fork Factory in the latter half of the nineteenth century. Very few of the original mills along Tookany Creek, or branches thereof, remain in the Township. C. Hammond's Tacony Edge Tool Works, which produced hammers and sledges, was eventually purchased for residential use. Knight's Mill, also known as Paxson's Mill and Rice's Mill, no longer exists. Originally the mill produced flour, but in the twentieth century, it was converted to a carpentry mill that produced commodities such as window and doorframes, shutters and stairs. A few of the outbuildings were converted to residential use and some of the foundations were incorporated into new structures. During a fifty year period spanning the late nineteenth century and early twentieth century, Cheltenham established itself as one of Philadelphia's most prominent suburbs. It is during this time span that some of Philadelphia's most influential high society members constructed large estates in the Township. The palatial estates not only afforded their owners the opportunity to escape the overcrowded city, but also provided them a place in which to entertain their contemporaries and showcase their wealth. Many large mansions dotted the landscape by the early twentieth century as wealthy estate owners tried to outdo each other. Jay Cooke was one of the first notable figures to build an estate in Cheltenham. Cooke established himself as a railroad tycoon and was known as the "financier of the Civil War" because he successfully negotiated a federal loan for the war by selling treasury notes to the masses. He was also involved in the abolitionist movement and provided stops along the Underground Railroad. He was involved in the community and contributed to the construction of St. Paul's Episcopal Church, where his mausoleum is now housed. His stately "Ogontz" mansion was located on a 200 acre estate bordered by Ashbourne Road, Washington Lane and Church Road. In 1883 it was converted to the Ogontz School for Girls. This finishing school operated on the site until 1917 when it moved to Abington. Joseph Widener purchased the property and the house was demolished. A few years later Ronaele Manor was constructed on this site. John W. Wanamaker was another famous Philadelphia businessman who constructed his estate in Cheltenham. Lindenhurst, complete with its own railroad station, was built on a seventy-seven acre parcel bordered by Township Line Road, Old York Road and Washington Lane. The first Lindenhurst was destroyed by fire in 1907 and the second Lindenhurst was demolished in 1944. Henry W. Breyer, Jr., of ice cream fame, purchased the abandoned property in 1929. Breyer donated the former Wanamaker land to the Boy Scouts of America for use as a wildlife preserve. Abraham Barker was half of the financing team of Barker Brothers. His estate, Lyndon, was located south of Church Road between Greenwood Avenue and Washington Lane. His son, Wharton is the only Cheltenham resident to run for president. He was the Fusion Populist candidate in 1890 but lost to incumbent William McKinley. After the Barker Brothers suffered financial failure Cyrus W. Curtis purchased the estate. Curtis had acquired his wealth in the newspaper business publishing magazines such as the Saturday Evening Post and the Ladies' Home Journal. Curtis established an impressive arboretum on the property and after his death Lyndon was demolished while the potting shed and pergola were retained and the property donated to the Township. George Horace Lorimer, editor of Curtis' Saturday Evening Post, built his home, Belgrame, a half mile west of Lyndon. William Welsh Harrison commissioned Horace Trumbauer in 1893 to design the gothic castle that now stands as the administration building for Arcadia University. Trumbauer's design of Grey Towers established him as Cheltenham's premier architect. Many of his designs were patterned on castles and palaces in Europe. An example of this is Lynnewood Hall, which was designed for transportation magnate P.A.B. Widener. This striking building was patterned after Prior Park in Bath, England and the gardens were designed in the formal French style. Trumbauer was originally sought out by the wealthy elite to design large estate buildings, but he also designed many of the smaller area residences. William L. Elkins commissioned Trumbauer to build numerous buildings that still remain in the Township. Elstowe Manor was completed in 1902 and is now the Dominican Retreat House, Prouille. In 1896, Trumbauer designed Chelten House, which was the home of Elkins' son, George. Another stately mansion designed by Trumbauer was given by Elkins as a wedding present to his daughter, Stella, upon her marriage to George Tyler. In 1932, upon Mrs. Tyler's donation, the building became the Stella Elkins Tyler School of Art of Temple University. Another Cheltenham resident of note is John B. Stetson, maker of the infamous "ten-gallon hat." His residence, Idro, was located on Old York Road near Juniper Avenue. Several literary notables resided in Cheltenham. Harriet Beecher Stowe resided on Elm Avenue while she composed the classic novel, Uncle Tom's Cabin; while John Luther Long, who penned the story that would become Puccini's Madame Butterfly, lived on Ashbourne Road. Ezra Pound, the noted American poet, was raised in Wyncote and attended the Cheltenham Military Academy. Cheltenham has two districts listed on the National Register of Historic Places. The first district, LaMott, is a post-Civil War residential development known historically as the location of the first training grounds for African-American troops. It was placed on the National Register of Historic Places on October 31, 1985 and contains 35 units. The second district, Wyncote, is a late nineteenth/early twentieth century wealthy suburb noted for its architectural significance. It was placed on the National Register of Historic Places on October 16, 1986 and has 178 units. This historic district is located in the south central portion of the Township. It is bounded by Penrose Avenue, Graham Lane, Dennis Street, and Cheltenham Avenue. Lucretia Mott lived here from the 1850s to her death in 1880. She was well known as a committed abolitionist, advocate for women's rights, and Quaker minister. Her Quaker views led her to become strongly involved with the abolitionist movement and her home, Roadside, was used as a stop along the Underground Railroad. In 1911, the home was demolished and an important historical landmark was lost. The exclusive Latham Park residential community is now located on the site and a Pennsylvania Historical and Museum Commission historical marker has been placed at its entrance as a memorial to Lucretia Mott's contributions to the community. The residential development of LaMott can largely be attributed to Mott's son-in-law, Edward M. Davis. Davis was involved in speculative land development activities not only in LaMott, but throughout the Township. Davis' land company owned large tracts of land in the Township and sold them to wealthy Philadelphians such as John Wanamaker and Jay Cooke. During the Civil War, Davis donated a tract of land to be used to train African-American troops for the Union forces. Camp William Penn, as it was called, operated between 1863 and 1865, and was the first such facility in the country constructed to solely train African-American recruits. After the War, Davis returned to land speculation and sold off many of the parcels to working class families. At the same time, Thomas Keenan, another local real estate speculator, built houses from timbers salvaged from the Camp William Penn barracks. The neighborhood became known as Camptown, in honor of the camp that was once located there. Initially, white working class families, most of them Irish immigrants, inhabited the area. Gradually, working class African-Americans began to purchase lots. William A. Ritchie was an influential force in the integrated development of this community. He founded the LaMott Building and Loan Association and was instrumental in helping other African-American home and business owners settle in LaMott, thereby, establishing LaMott as one of the first racially integrated suburban communities. The community continued to prosper and gain population and the original schoolhouse that had been built by Edward M. Davis was replaced in 1878. This building now serves as the LaMott Community Center. Davis also donated the land for the original LaMott African Methodist Episcopal church that was constructed in 1888 and rebuilt in 1911. LaMott was chosen as the official name of the community when a post office was established in 1885. The name Camptown was already in use by another Pennsylvania community and a new name had to be chosen for the post office. Residents decided on LaMott as a tribute to the woman who had been instrumental in the community's development. Developed as a wealthy residential neighborhood in the late 1880s. The general borders of the district are Glenview Avenue, the SEPTA railroad line, Webster Avenue and Church Road. The district itself was created in a piecemeal fashion by six different developers as four distinct developments: Wyncote Village, the Redfield development, the Walt development, and the Tyson development. Lots were subdivided and well-known architects such as Horace Trumbauer and Frank Furness designed many of the residences. The most popular building style was Queen Anne, although Second Empire, Colonial Revival and Tudor Revival styles can also be found in the district. Deed restrictions were written to include minimum building costs, lot sizes, and setbacks. Thus, it was ensured that the area would remain an exclusive suburb. The Wyncote Improvement Association was also established in the 1890s to further this goal. By 1915, most of the lots had been developed. The district also contains several non-residential buildings. All Hallows Episcopal Church, designed by Frank Furness, built in 1897, and the Calvary Presbyterian Church, built in 1899, were designed in the English Gothic style. The Wyncote-Jenkintown Train Station and waiting room, designed by Horace Trumbauer, are also included in the district because of the railroad's contribution to the growth of the community.